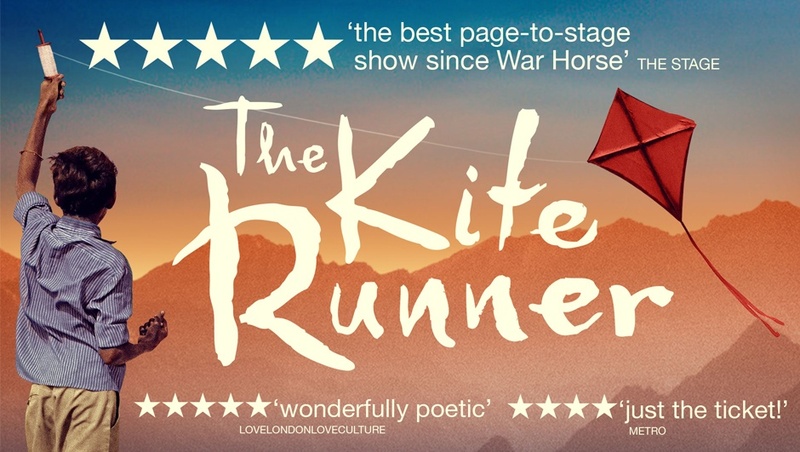 How do you take a novel as successful as The Kite Runner and adapt it for the theatre? That was the very question that Matthew Spangler boldly answered through the development of his acclaimed stage adaptation, which flies into the Playhouse Theatre on Thursday 8th June. We wanted to ask him a bit more about what it took to transform this great work of literature into a full-fledged play, alongside Giles Croft, the director who has brought the classic story to life in the West End. What was it that first attracted you to Khaled Hosseini's novel, and the idea of bringing it to the stage? Matthew: I read The Kite Runner in 2005, two years after the book was published, and I thought right away it could make a great play. It's such a dramatic and epic story with these amazing characters. And thematically, it covers an incredible range of material. But for me, it's also a local story about Afghan refugees immigrating to the San Francisco Bay Area - it's a story about Afghanistan and California. Khaled Hosseini and I both live in the South Bay, better known as Silicon Valley. We first met at a Starbucks in San Jose where I laid out my ideas and the process went from there. The Kite Runner has now been translated into 42 world languages. What do you think is the universal appeal of this story, in particular? Giles: It's a story about forgiveness and redemption, things which touch us all. Also the migrant's story is so much a part of our lives but it is rarely told in such an accessible way. Matthew: It's a father/son story, a story about two best friends, a love story, a story about global politics, refugees and immigration. Itis such an honest and, in some ways, raw story. At a time of great cynicism in our popular culture and politics, The Kite Runner is all about sincerity. It wears its heart on its sleeve and asks you to feel genuine emotion for these characters and what they go through. Production image from 'The Kite Runner' at the Wyndham's Theatre. With such a large fan base for the original book, do you feel there is an expectation for the stage show to be as truthful to it as possible? Giles: Mathew's adaptation is true to the spirit of the book and where he makes changes it never feels arbitrary. My approach was to keep the production simple and allow the audience's imagination to be stimulated. The other important thing for us all was that many people coming would not have read the book or seen the film so we weren't interested in showing how clever we could be with the source material. Matthew: Frankly though, as a writer, I was more concerned that Khaled felt the stage play was a fair representation of the novel. Fortunately, we were able to meet and discuss the adaptation and he was very supportive all along. He made comments on early drafts of the script and attended rehearsals for the first two productions. So, by the time the play was in front of audiences, Khaled and I had been discussing it for three years and we were on the same page. What, for you, are the most important considerations to take when setting out to adapt a novel for the stage? Matthew: Most of my plays are adapted from novels, so I think about this question a lot. Basically, I want to write a good play, but I also want to be true to the spirit of the book. There are many writing techniques for trying to achieve this balance. With Kite Runner, the big challenge is taking such an epic story - if you read the book aloud, it would take around 15 hours to complete - and reducing it to around two hours of stage time. So that's not a lot of time to tell a 15 hour story. And you want the audience who knows the book to say, "I didn't miss a thing, how did you manage to get everything in there?" when, in fact, you actually left out quite a bit. What does the theatre experience offer to The Kite Runner that reading might not be able to? Matthew: The theatre is a public experience, whereas reading a novel is a private one. In the theatre, we witness what is happening on stage as a group, live, face-to-face, in the present moment. We feed off each other's emotions and the actors respond to the audience as well. It's a communal experience. The Kite Runner, because of its huge range of deep emotions, seems to be well suited for the theatre. Giles: The production has a rich audio landscape, a simple but brilliant set and beautiful lighting, all of which heightens the storytelling in a way that a book can't. It is incredibly powerful and provides an intense and emotionally immersive experience that is only possible in the theatre. Interestingly, the audience reaction at the end is more like that at musical than the one you would get at a serious and demanding play. Hosseini wrote the novel in the first person with Amir as narrator. How much did this voice inform the way in which the story is recounted in your adaptation? Matthew: My first approach to the play was to write it as a monologue. I was inspired by the tradition of the great Irish monologue plays, such as those by Brian Friel, Tom Murphy, Mark O'Rowe, and Conor McPherson. So my first draft started out as all monologue. But I quickly realized that this story is better told with other actors on stage. So in the play as it stands now, Amir still has a relationship with the audience - he speaks directly to us and everything on stage is filtered through his memory - but there are other characters that come on and off stage and play scenes as dialogue. A lot of the emotional power of this piece comes from Amir's memory of the events, not just the events themselves, but the ways in which he recalls and even relives the past for an audience. It might seem strange to say, but structurally this piece owes a real debt to the tradition of Irish theatre. As director, has it been a big challenge to realise the world of The Kite Runner and its many different settings and time periods? Giles: I've worked with a brilliant team and we have all approached the production with the same respect for the story, the themes and the audience. 'Keep it simple' was the mantra. The Kite Runner is set against the backdrop of several significant political events, both for Afghanistan and the whole world. How do you strike the balance between the personal story of Amir and the wider political narratives? Giles: The simple answer is to tell the story of Amir and not worry about the politics. However in the distilling of the story Mathew has clearly made choices about what context he wants to provide and so it's impossible to ignore the events that provide the backdrop for the story. Matthew: The personal story and the wider political one are not really separate, because each of the broader political events informs the personal story. So it's not so much about striking a balance, but instead, it's about just telling the story, because the political events have a direct bearing on the lives of the characters. What has your relationship been like as writer and director? How much did the play text evolve in the rehearsal room or even between runs? Giles: This is the fourth time we've revived the play and on each occasion changes have been made that improve the text and the production. Matthew has been involved at every stage and has been open to considering changes that work for this production but might not be necessary for another. Matthew: We changed lines here and there, and for the Nottingham Playhouse production in 2013, we took out what had been a major character in the U.S. and Canadian productions (a young version of the main character in Act I), so that was a big change. We work well together. I completely trust Giles and would count myself lucky to work with him again on another project. What do you hope individuals can take away from coming to see The Kite Runner at the Playhouse Theatre? Giles: That the story of the world's Amirs isn't going away and a greater understanding of the dignity of Islam. Matthew: Fundamentally, I hope people are moved by it. The Kite Runner is an emotional story, and there is a special kind of magic to experiencing such a story live and as a group. It's my hope that people come to the show and experience this magic. We live in a divisive age, and stories like this, that bring us together, ask us to feel emotion, and remind us of our common humanity, have a special role to play in combating some of the division that surrounds us. The Kite Runner is playing at the Playhouse Theatre from 8th June until 26th August 2017. Click here to book tickets. The production will also be touring at the end of this year, and plays in ATG venues in Brighton and Glasgow from September 2017. Click here to book tickets . Want to know about more adaptations? 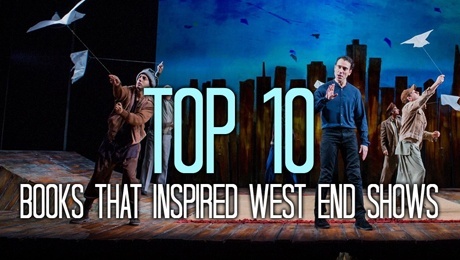 Read our list of Top 10 Books That Inspired West End Shows now to see which world-class shows had their humble beginnings in the pages of a book.